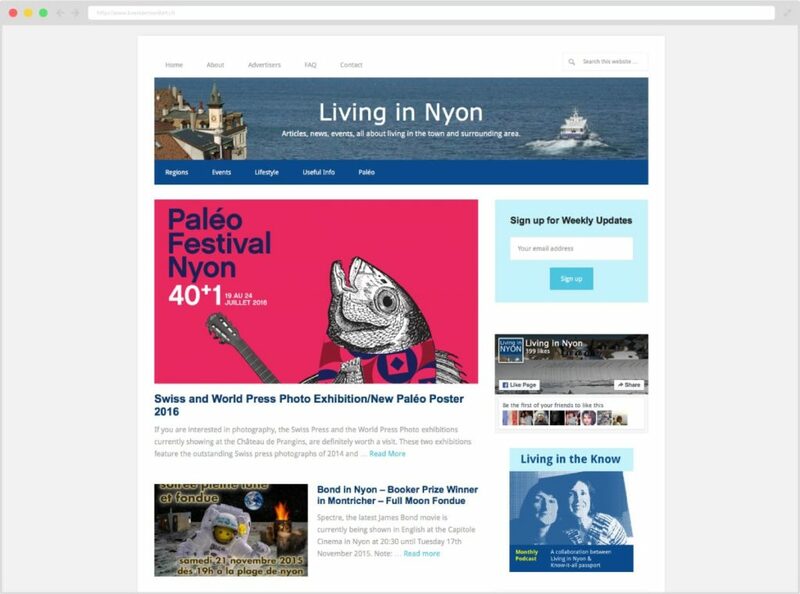 The Living in Nyon website provides useful information for the English-speaking community around Nyon. It is the reference for local English news. Initially the website was hosted on Blogger. 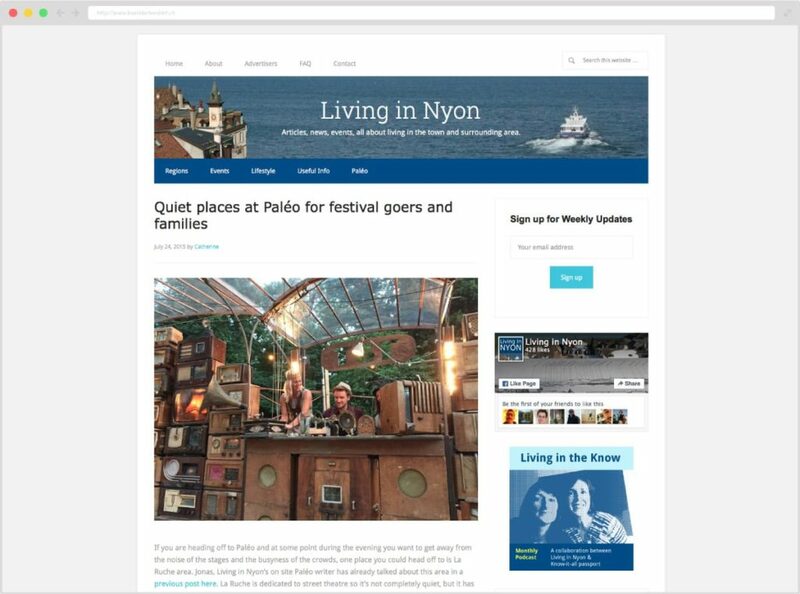 To further personalize it we migrated the website to a self-hosted WordPress. The first task was to migrate all the content from Blogger to a self hosted WordPress without loosing the SEO rankings of the pages. In a second stage we applied a responsive theme to improved the experience for the mobile-users.